A topographic survey is a highly detailed depiction of the earth’s surface with locations of any natural site features or man-made improvements. 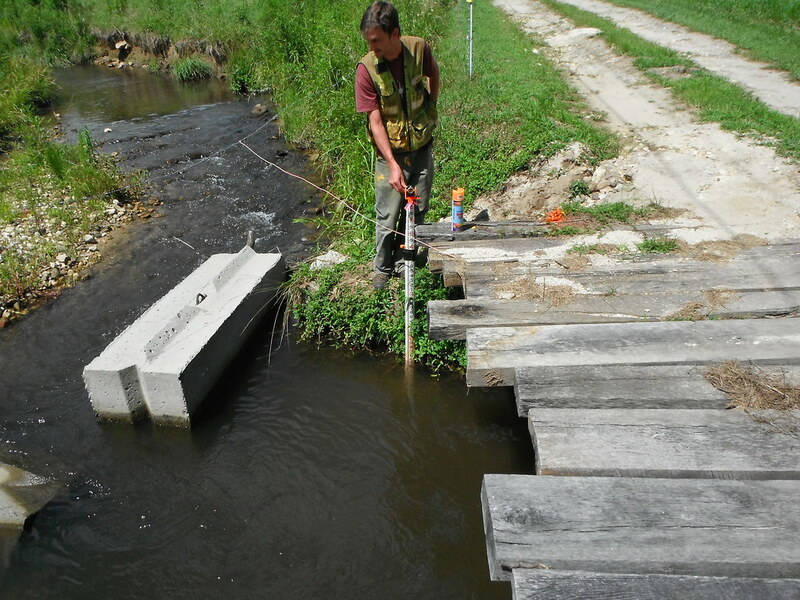 This type of survey is typically used by architects and engineers in the planning and design phases of projects. 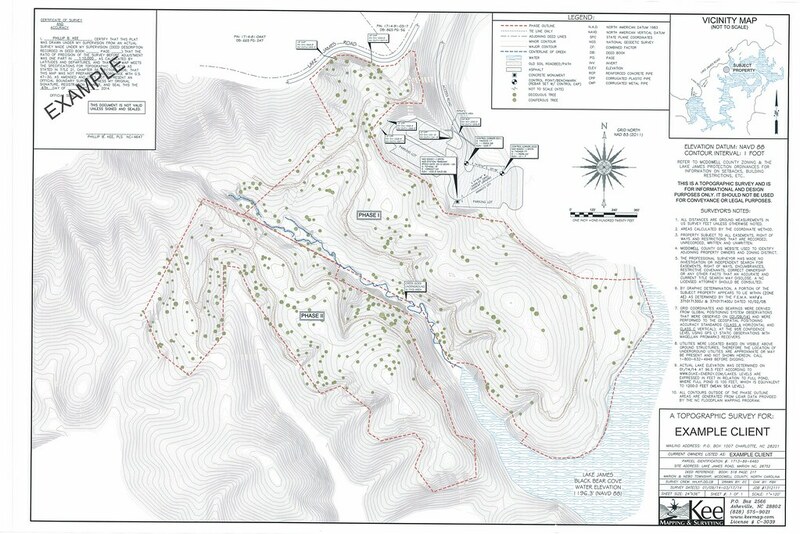 When the survey is complete the client typically receives a map illustrating the site’s terrain with contours and showing the location of all pertinent features. Also, when it is needed, we provide a DEM (Digital Elevation Model) to be used with the client’s CAD based or GIS software of choice. This survey takes place pre-construction and involves identifying natural and previously man-made physical features such as buildings, fences, drainage, parking, driveways and other impervious features as well as the topography of the land. 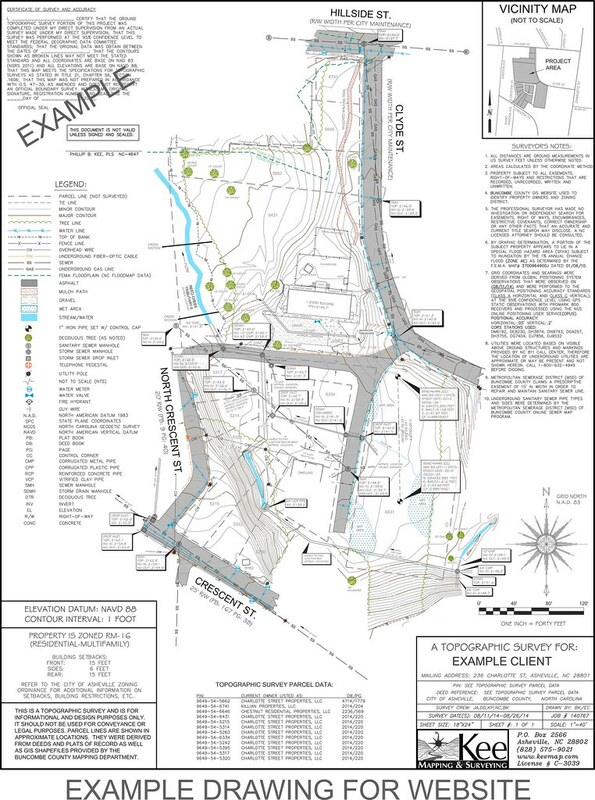 This type of survey is usually needed for design and planning purposes by architects, land planners, and engineers. 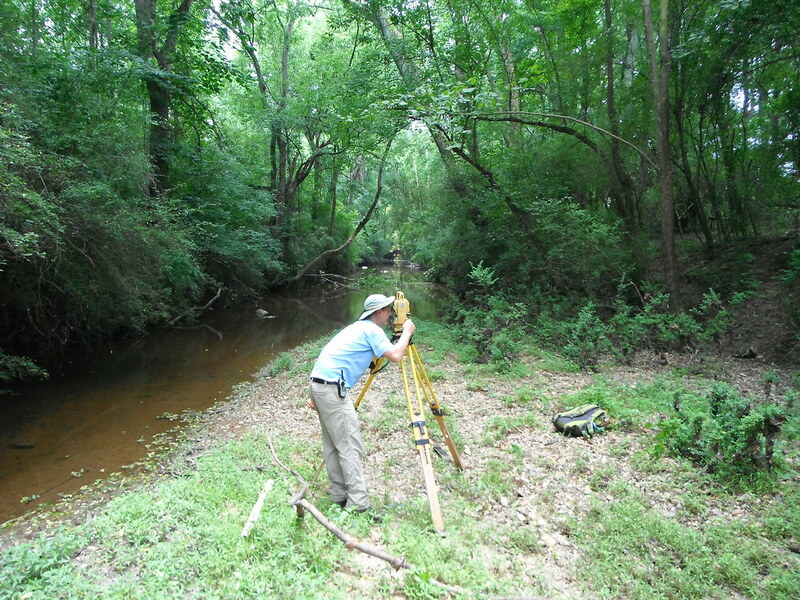 Sometimes as-built surveys require topographic data of a post-construction site. 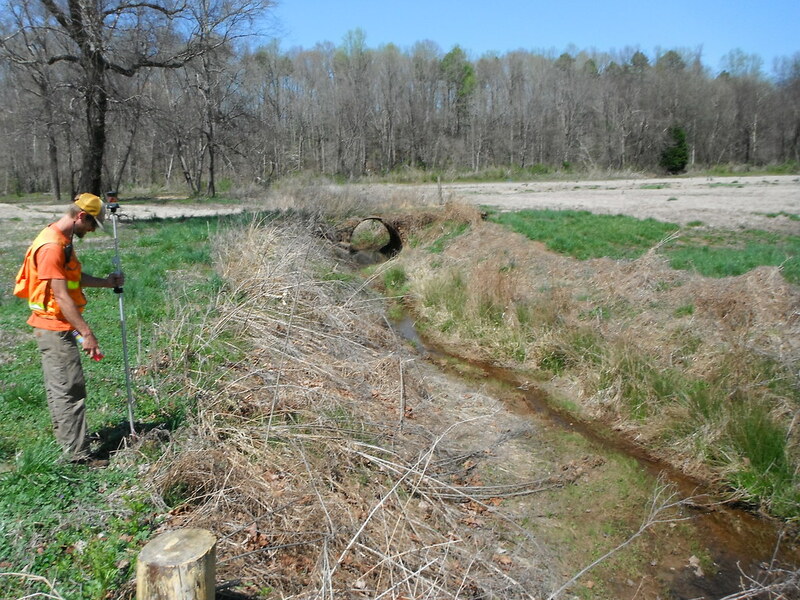 These sites can range from driveways and parking lots to roads and riverbeds or any project in which slope steepness and drainage of graded features have importance. This type of survey is extremely useful in determining whether the physical end product meets the design requirements put in place by the designer and regulators. Our firm can work in conjunction with an aerial surveying company to provide aerial topography of properties. In open areas with little canopy, this is an economical way to obtain detailed topographic information over large acreages. It most situations however, there will be a combination of open and heavily covered areas. We will use a combination of both ariel and terrestrial based location and carefully merge the two types of data to produce highly accurate and reliable topographic surface. This service is typically needed when the steepness of a lot or parcel of land may hinder the development process. There are also many counties and municipalities that have developed ordinances which regulate future construction of structures on protected steep slopes. A slope analysis will verify the steepness of the construction site to help determine the controlling regulations.